Thousands of infrared images have been taken and analyzed. These images show distinct patterns in body surface temperature. Historically, physics has always recognized water in 3 phases: liquid (water), solid (ice), and gas (steam). Stable Water Clusters found in Double Helix Water are a previously undiscovered solid phase of water that remains stable at room temperature. Exclusive scientific evidence points to why homeopathy works and takes the mystery out of why it works. I am reaching out to scientists all over the world, asking that they consider working in the area of health and Double Helix Water. 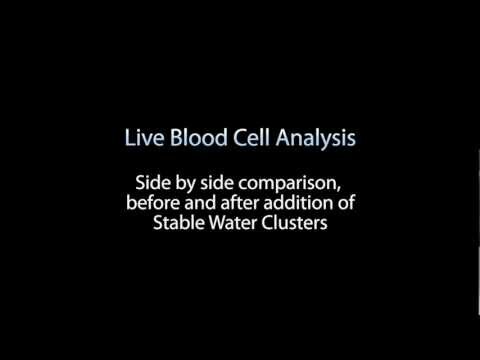 This is a side by side comparison of the effects created by Stable Water Clusters in a test subjects blood. The video shows two live blood samples side by side, one before and another 20 minutes after the subject had ingested Stable Water Clusters.